On this Independence Day, ARY Digital being the premier entertainment channel of Pakistan brings a special collection of programs and shows that will highlight various aspects of patriotism. 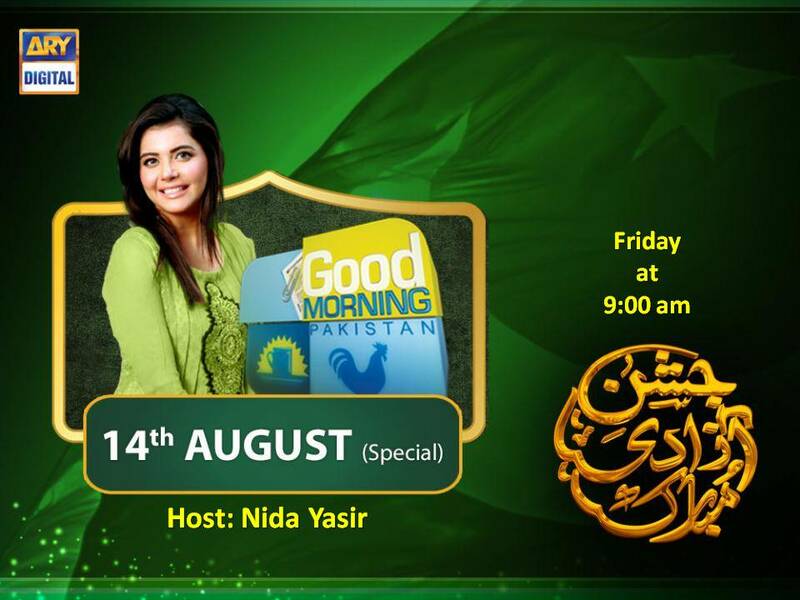 Watch Good Morning Pakistan on 14th August 2015 Independence Day Special at 9:00 am only on ARY Digital. 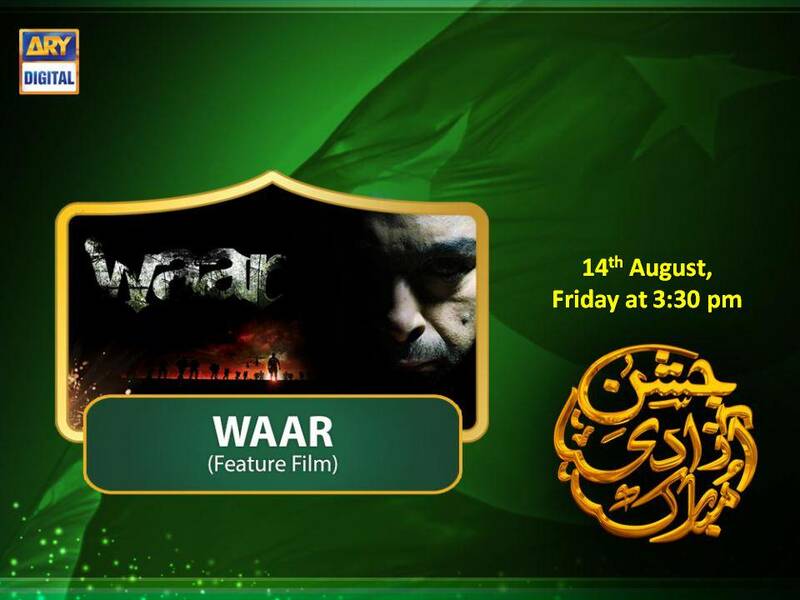 Watch Feature Film Waar on 14th August 2015 at 3:30 pm only on ARY Digital. 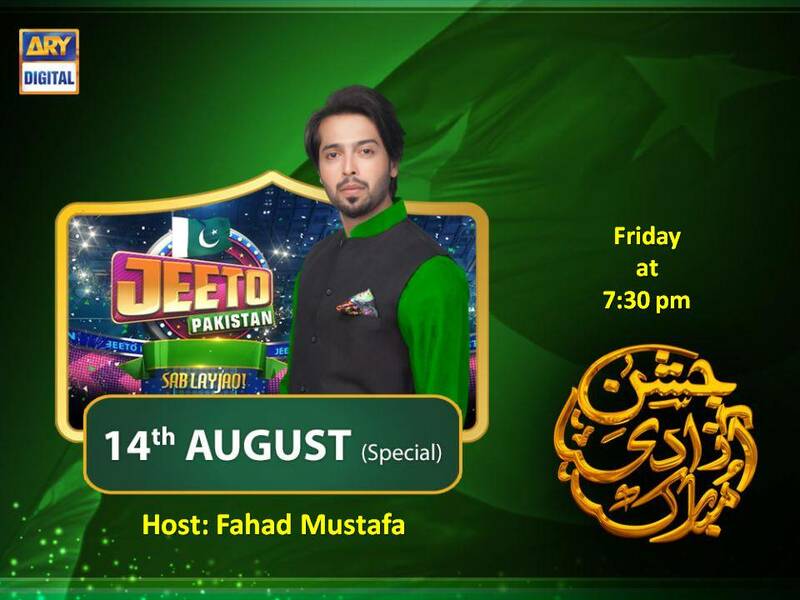 Watch Jeeto Pakistan on 14th August 2015 Independence Day Special at 7:30 pm only on ARY Digital.